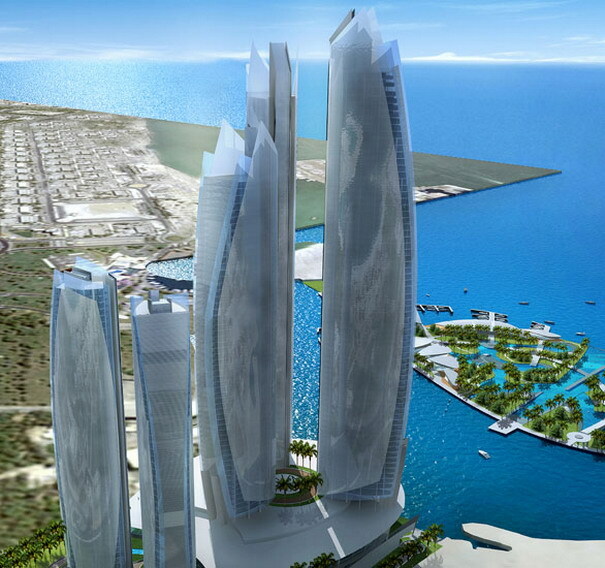 Etihad Towers Project is located on the Corniche, in front of the Emirates Palace Hotel. The project is a prestigious mixed use development approximately 460,000m2 composed of a total of five towers from 53 to 77 floors, a large multi level podium and four level underground parking with a capacity of more than 3,200 cars. In 2006, Cansult Maunsell was awarded the preparation of Construction Document Stage Documents and Drawings and Construction Supervision by H.E. Sheikh Suroor Bin Mohammed Al Nahyan. The construction of enabling works started in July 2006 and the project is scheduled to be completed by early 2010. Services to client for this project include detailed design and construction supervision. Pride & Wonder of Abu Dhabi! I like to work with ethihad property in hospitality industry.